One year Anne Fleming gave her nephew a book for Christmas and watched from the sidelines as the volume captivated him for the next three hours. Though she hadn’t seen him in months, though she gave him the book that spellbound him, though she would have loved to talk to him about the book, he commenced to read the book from cover to cover, oblivious to everyone around him. Reminded of her own childhood, of not being available to her father or anyone else while she read, she realized that perhaps this ‘was the real reason [her] father turfed [her] out of doors time and again, bookless, to participate in things of this world.’ This is the ‘aha moment’ she recalls in EVENT magazine’s latest Notes on Writing issue (42/1) in her brilliant essay ‘Novels Are for Children.’ After reading countless stories, and writing many of her own, Anne recognizes that becoming wholly lost in a book rarely happens to her anymore. ‘Hyperaware’ of the tricks authors are up to, she reflects on how often our best experiences of reading are the ones we have while we are still wide-eyed children, easily and utterly swept away by a good story. Luckily for us at EVENT, we don’t have any trouble being swept away by her writing. I contacted her for an interview. EVENT: Steven Beattie mentioned your ‘stylistic playfulness’ in his book review of Gay Dwarves in the National Post, and Thomas Trofimuk of the Winnipeg Review called you ‘a master of literary sleight of hand.’ I saw this stylistic playfulness in your little bio at the back of EVENT’s current issue. Can you tell me more about that job as a technical editor for the government? Anne Fleming: I worked there as a co-op student for two terms during my undergrad at the University of Waterloo. The job involved relatively little actual editing, which was slightly disappointing, but a ton of design and layout work, which made up for it. I loved layout and was good at, and it gave me work for years to come. Yay, Co-op! My department was an early adopter of Apple technology. When I first started, we had a Lisa in our office. Yeah. A Lisa. Look it up. Then two Macs. This was a very big deal, very novel in 1985. The reports we edited, laid out, produced and distributed were things like ‘Road and Bridge Deck Drainage,’ ‘Bituminous Surfaces’ and ‘Environmental Impacts of Road Salting.’ I loved editing the ones written by the German engineers and longed to leave in some of their odd locutions. E: You wrote in your essay ‘Novels Are for Children’ that when you were young your father gave you a hard time about reading so much. You suggested that what bothered him the most may have been the feeling of being shut out: ‘Because when we speak of being lost in a book, of that delicious feeling of being immersed, the people around us are seeing someone lost to them for the time being.’ Do you struggle to balance the time you spend reading and writing with the time you spend with the ones you love? AF: My 10-year-old daughter recently spotted at a bookstore a stack of those door-handle-hanger things like the ones that say ‘Do Not Disturb’ at hotels. This one said, ‘Go Away, I’m Reading. Really.’ She snagged two, one for me, one for her. Sometimes we have Reading Parties in the living room, where all three of us read, maybe share some popcorn. Which sounds pretty idyllic, but even so, yes, finding balance is a struggle. Writing usually loses. E: I read on your website that you once had a ‘very nice rejection’ from The New Yorker for a story that now appears in Gay Dwarves of America. Can you tell me about that nice rejection and which one of your stories they refused? AF: The story was ‘Unicycle Boys,’ and I can no longer find the nice rejection. I wish I could find it because I’d like to read those nice comments all over again. It ended with ‘try us again sometime,’ which was very encouraging. E: I loved your poem, ‘All the Norton Anthologies’ I found it refreshingly absurd and funny. Is there a deeper meaning, perhaps, that I’m missing? AF: The teacher in me wants to turn the question back to you. What would you say the meaning, deep or otherwise, is? But okay. I guess it’s a sort of critique of the industry of canonization. If you really think of the number of Norton Anthologies in the world–well, it’s a big big number. Every English-speaking post-secondary on the planet probably has at least one course that uses it. Every year. All those books like bricks. So many they might make a skyscraper. And they’re all, despite being different editions, basically the same. The Norton Anthology tells us who’s important. And it keeps the authors alive. And sanctifies them. And anything that is sacred is ripe for sacrilege. And burning books is sacrilegious. But the Norton Anthology traps the authors, too. E: I had the same feeling of delight when I saw your other postings—Policewomen, The Policeman, andThe Nurse—all clips from Ladybird Readers of the Sixties. It would be easy to parody these books, but you show great restraint by making no personal comment at all. What made you decide to post these? AF: I love them. They’re funny and wrong, right and beautiful all at the same time. E: One of your stories from Gay Dwarves, ‘Thorn-blossoms,’ is about a quirky stay-at-home mom, her career-oriented journalist mother, now suffering the ravages of Alzheimer’s, and a heartbreakingly horrible afternoon at the local arena watching the mom’s son play hockey. You describe the game, the parents, the players, and the cutthroat, competitive hockey coach to a T. You have obviously spent a lot of time witnessing minor hockey first-hand. What is your experience with or relationship to minor hockey? AF: I played ringette as a kid and hockey as an adult. I’ve been at arenas weekly (or more often) fall and winter pretty much ever since I was eight. Forty years of arena-going, you notice a few things. Also, my sister had three kids in competitive hockey. Each year there were new troubles with idiot coaches and/or problem parents. The truly good coach was rare. When I was a teenager, I umped a few little kids’ house league ball games and was shocked as all get-out by the parents’ vehemence and antagonism about calls that went against their kid. E: You’ve taught many creative writing classes—at UBC, Emily Carr Institute, Kwantlen, Douglas, Victoria School of Writing, Banff Centre for the Arts, and now UBC Okanagan. What do you enjoy most about teaching? AF: Boy. Lots of things. Teaching is a kind of problem-solving. You’ve got this concept, idea, or way of understanding something. And you’ve got to convey it to other people. It requires creativity, persistence, trial and error, leaps of faith and leaps of logic. Kind of like writing. I love that. I also love each mini-community of writers that develops in the classroom workshop. E: Are you writing anything right now? AF: Right now I am resurrecting a poetry manuscript I’d laid aside for some time. I’m also trying to finish the first draft of a novel set in 17th century England and Hudson Bay. And working on a novel for children about a building in Manhattan that has a mountain goat living on top. And thinking about a collection of essays. E: What have you been reading lately? AF: The cheeky, genius poems of Elizabeth Bachinsky’s Hottest Summer in Recorded History. The Pursuit of Love, by Nancy Mitford, frothy and charming but clear-eyed view of an upper class British family in the 30s and 40s, One Year in Coal Harbour, by Polly Horvath. I’ll read anything by Polly Horvath. She’s one of many terrific children’s authors whose books are simply good books, and shouldn’t really be segmented off into the children’s category. The Sense of an Ending, by Julian Barnes. A Chronology of Water, by Lidia Yuknavitch, a harrowing memoir of swimming, addiction, abuse, loss and writing. 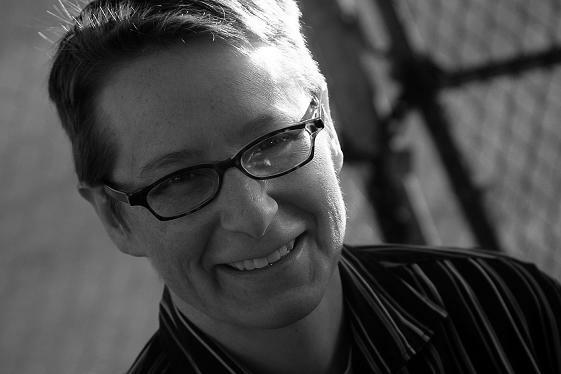 Check out Anne Fleming online at http://annefleming.ca, and look out for her at Word Vancouver on September 29th! She will appear with Billeh Nickerson and Elizabeth Bachinsky at 2:30 on the Magazine Words stage on Homer Street.